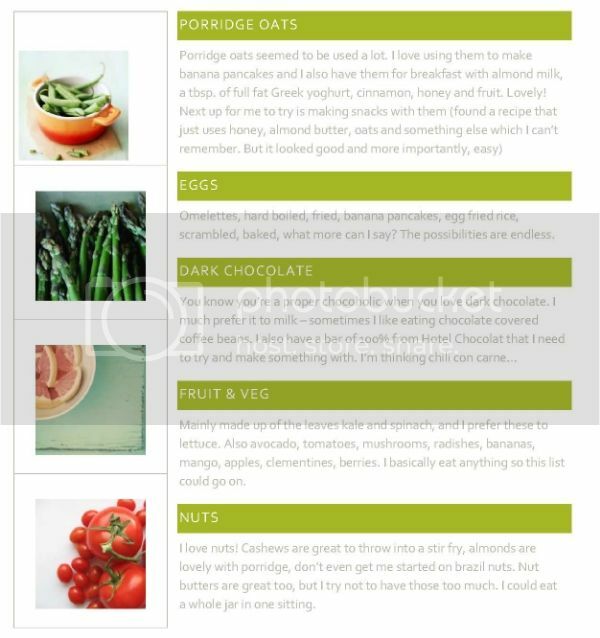 I've been reading a load of health blogs lately, and these are the foods I've found that they all seem to eat. I love them too! Yum. What are your fave foods?